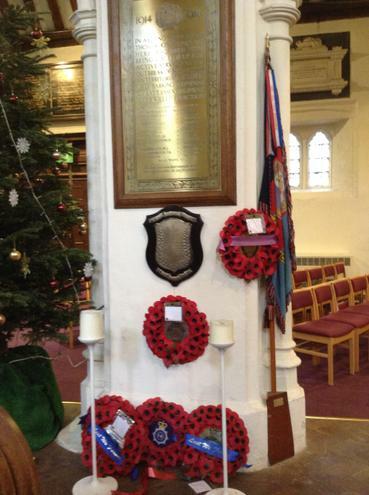 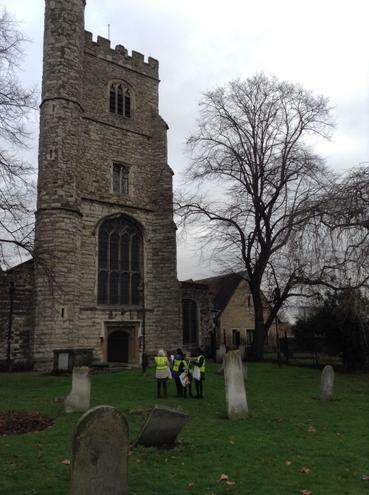 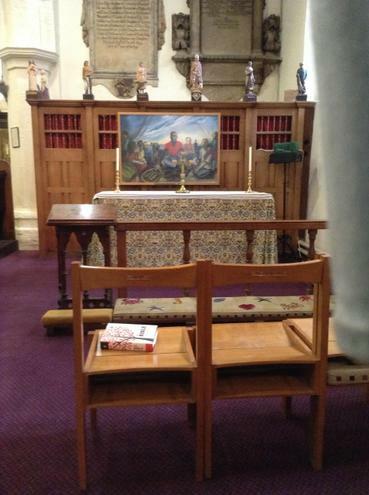 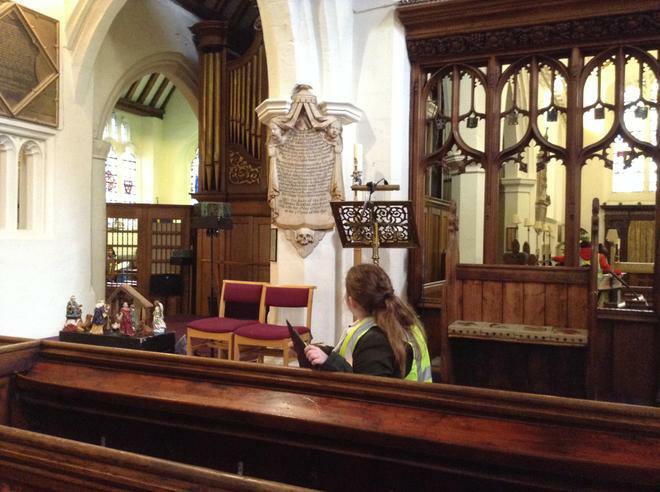 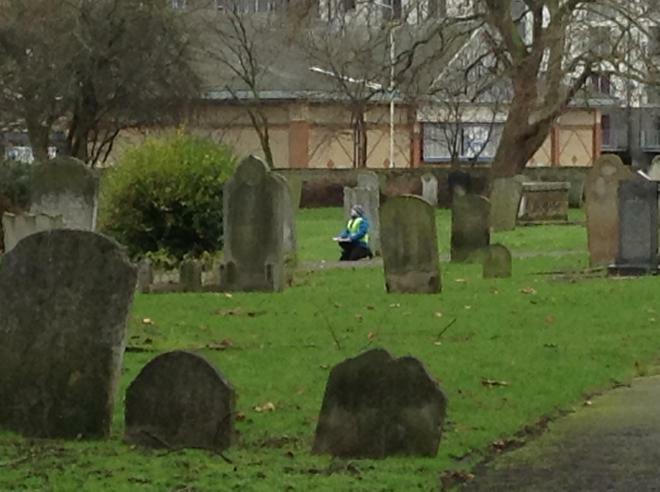 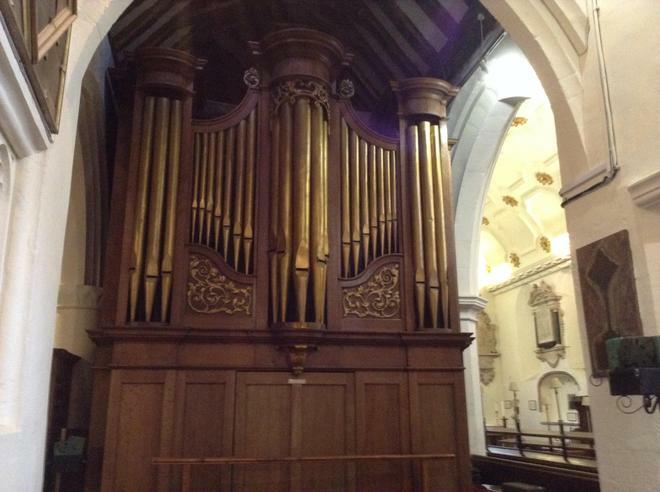 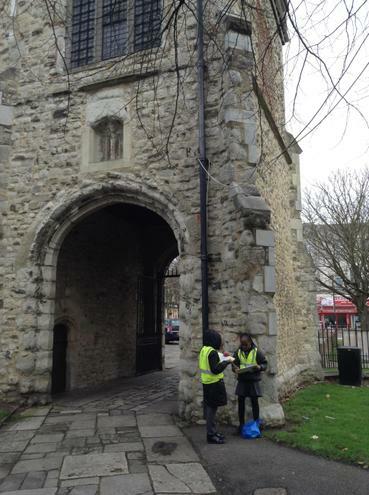 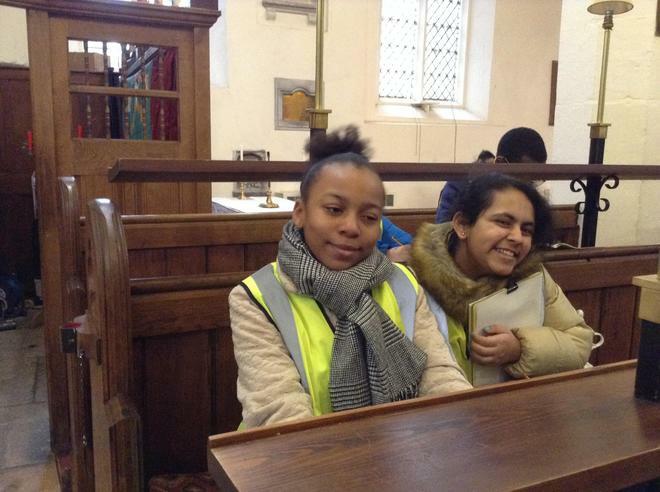 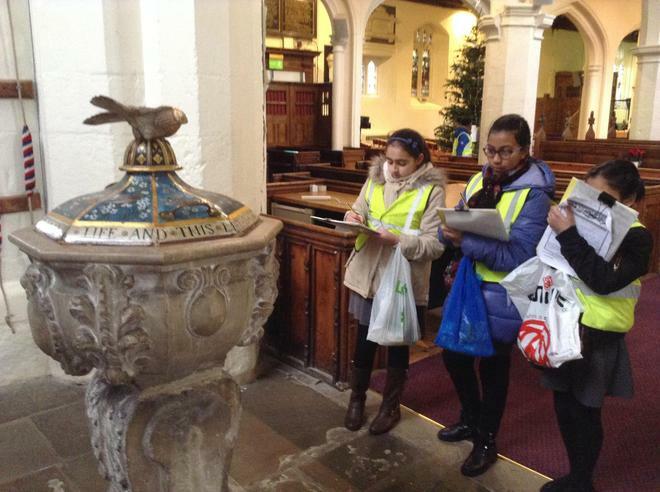 On Tuesday 10th January, year 6 visited St. Margaret's church as part of their unit on what makes a church. 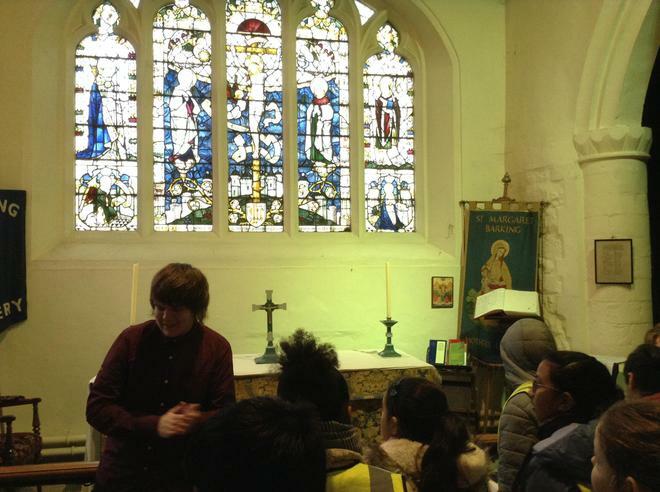 The children had a tour of the inside and learnt about how Christians used the church to practise their faith. 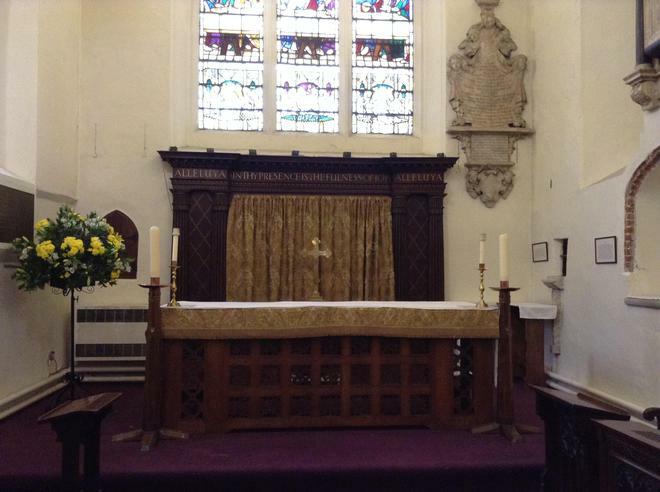 This included the journey through from the east to the west side, starting at the baptismal font and ending at the altar. 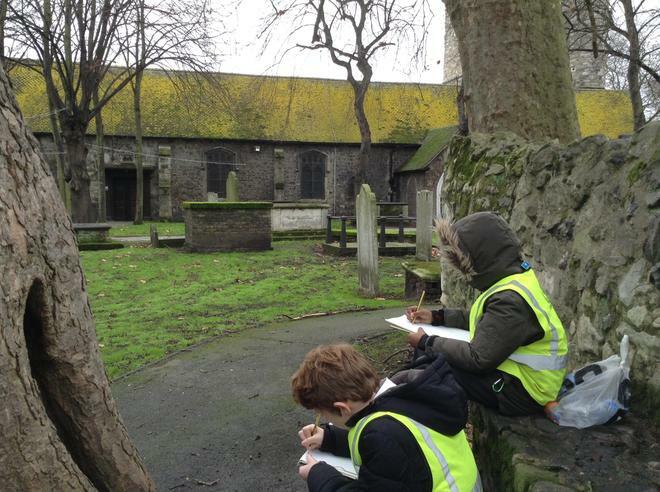 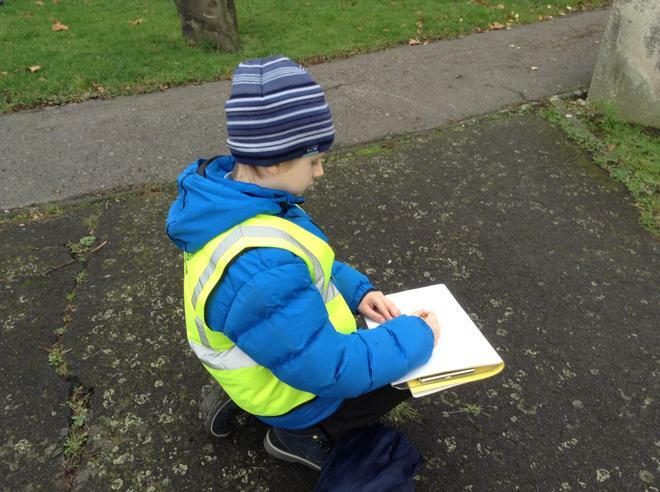 The children sketched images of objects that interested them inside the church and then explored the graveyard to see who was buried there and how long ago. 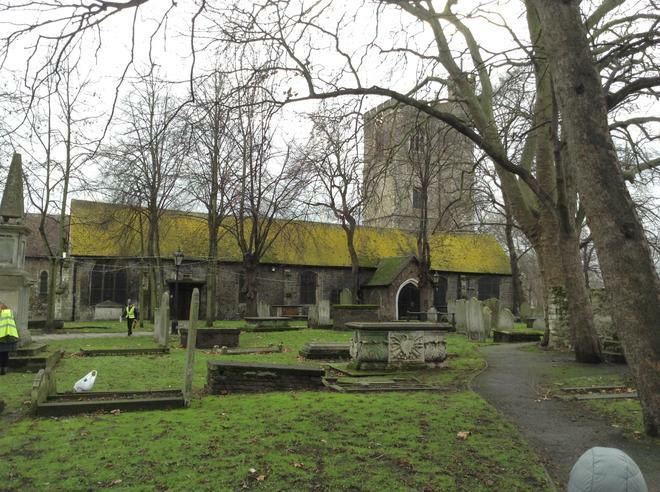 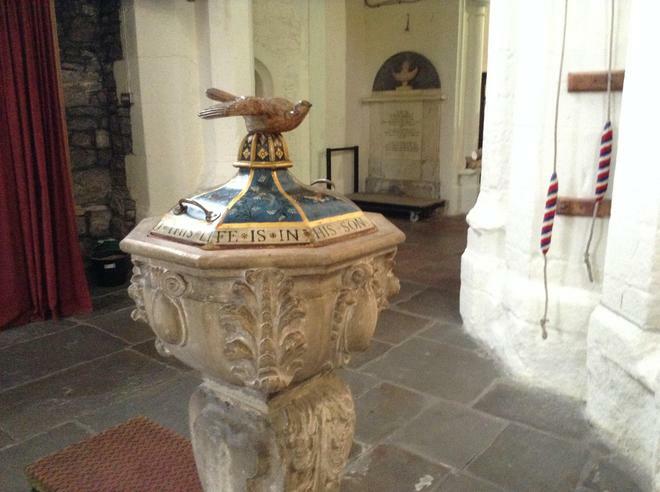 The oldest grave that could be read, as many have worn away through erosion, was from 1759! 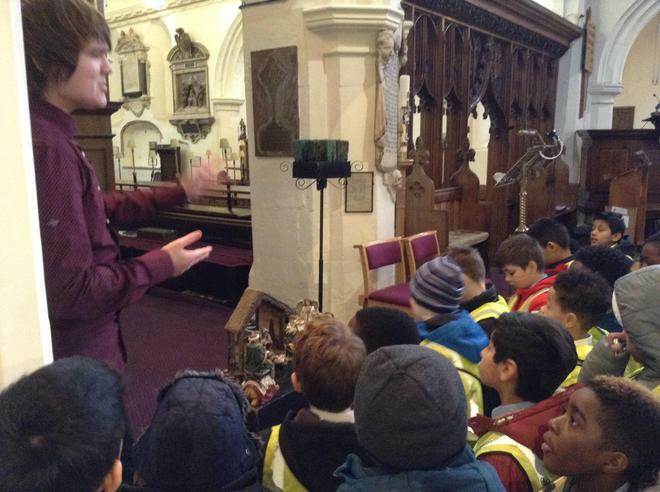 There was even a grave of someone who fought in the battle of Trafalgar, which led to a discussion about the Napoleonic war. 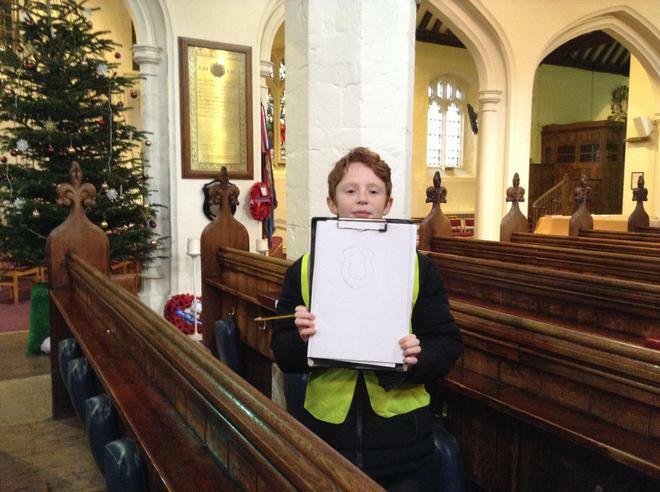 The children also made some really good sketches of the church from any side that they chose.